The cherry tomatoes are finally coming in from the field and out to your local farmers market. They’re great for snacking and make a flavorful addition to any plate. They’re also great for stuffing. 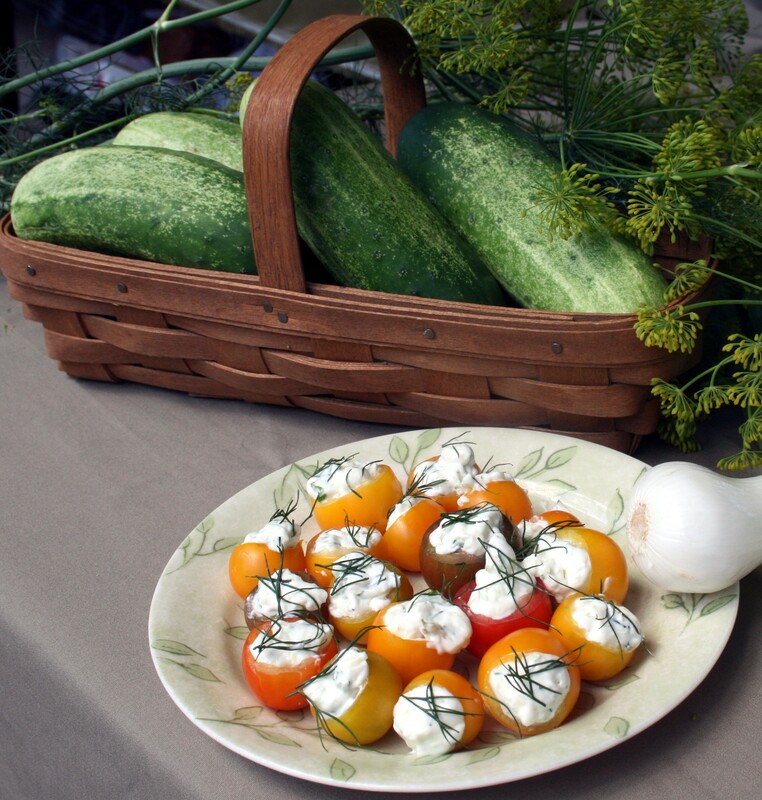 Market Lady Trish Reed shares her secret to hollowing out a cherry tomato and a refreshing filling (that also is dandy with pita chips as a dip). 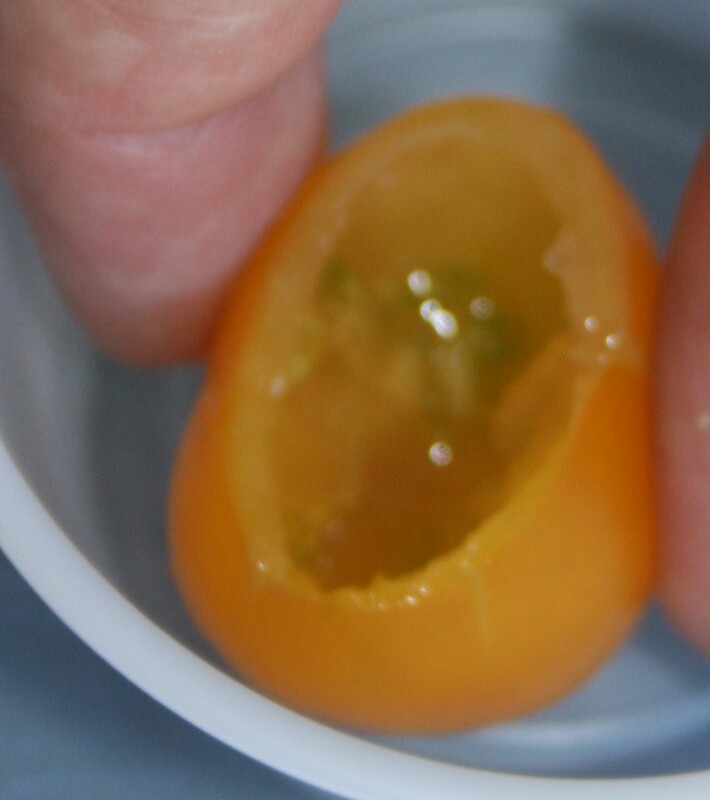 Cut the stem end off the cherry tomato. 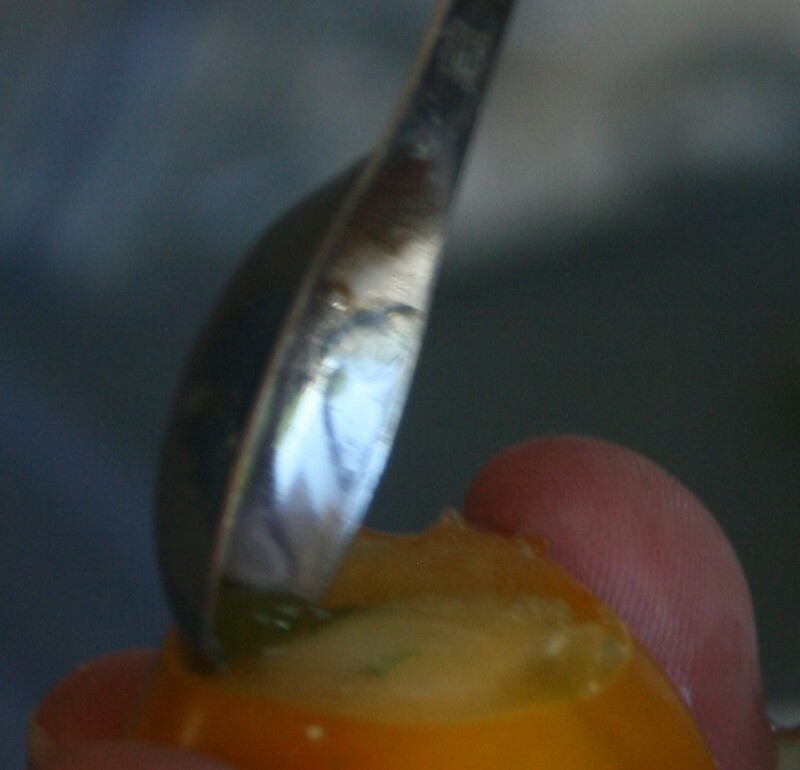 and starting just inside the cut, hollow it out. 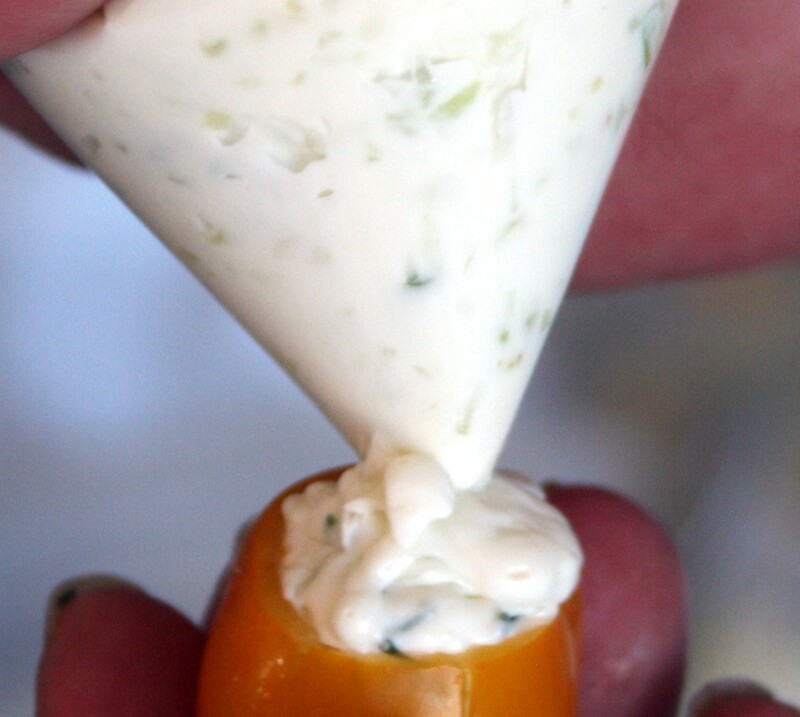 Combine cream cheese and mayonnaise until smooth. Stir in cucumber, onion, and dill. Mix well. Refrigerate until served. Serve with pita chips, tortilla chips or use as a spread on crackers. It also makes a lovely stuffing for cherry tomatoes. Put the dip mixture into a zip lock bag, seal and cut the tip off of one corner. It the bag like a pastry bag, squeeze the mixture into the tomato.